If Thailand become your destination for a luxury travel package in 2016 then you may required to know some good tips in order to know what and where you should see and experience while in the land of the smile. 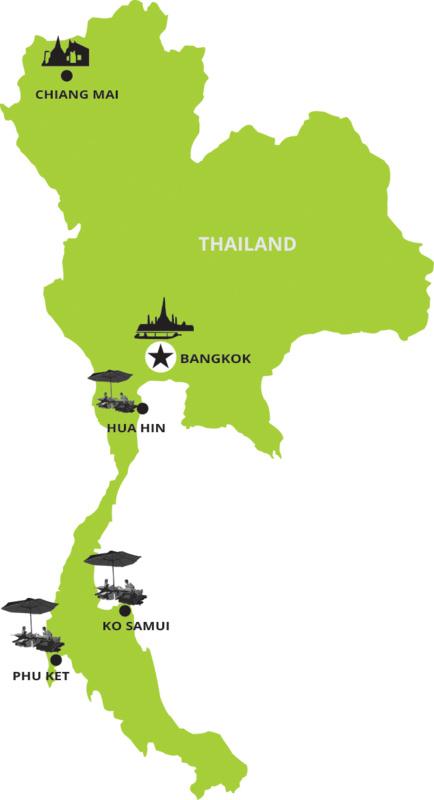 Thailand located in the heart of the South-East of Asia bordering with Malaysia, Myanmar, Cambodia and Laos and is located also in a cross road for many connection flights within the Asia. Tourism is a big venue and became the main and largest industry for Thailand since decades ago. A Thailand luxury tour reflect as a package for rich and wealthy peoples while for tour providers , luxury define as a art and value to offer the services to the most sophisticated travelers. To choose a luxury vacation package in Thailand you will need to know your traveling style, this is a country that offer almost anything for any traveler with any budget and traveling preferences, we talk about luxury vacation and one could find and opt for any services from Bangkok to Chaing Mai to Pattaya, Phuket and other beautiful islands. One option which is highly popular in Thailand is to play golf through the country, fortunately golfing is quite developed in here and both professional and golf lovers will find Thailand an ideal Asian destination for their number one hobby, however, Thailand golf packages have gained in popularity. This is largely due to the affordable pricing with luxury vacation deals to stay in resorts near the beach. In general, thailand adventure tours that is offering a luxury travel to Thailand could include any kind of sightseeing from a few day sightseeing in Bangkok to experience a cultural exploration in Ayutthaya and Sukhothai which are UNESCO heritage sites in the country. Also, some people prefer to stay up to northern highlands of Thailand to gain some days to visit tribal peoples and ethnic minorities living around Chiang Mai and small hamlets around the border with Myanmar. In addition there are some interesting activities for adventure seekers such as spending a day around the lush jungles having bamboo rafting as well as elephant riding. In addition, with a Thailand luxury tour arranging to visit all above tourist sites and attractions plus some days for beach stay at the quality and best luxury resorts will be a complete vacation package to experience Thailand at its best, the beaches in this country are part of culture and choosing a right beach for relaxing, playing golf and or swimming is not just as easy as it is, plan wisely to get the best of a holiday without being worry about anything.